Takes the lugging out of luggage. 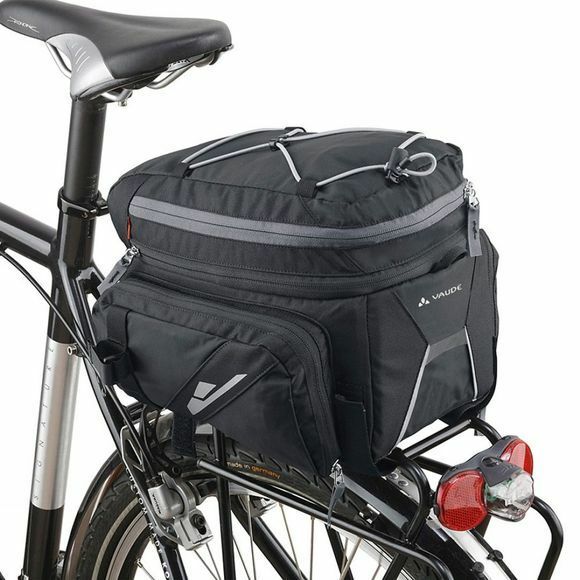 This all-round Silkroad Plus (Snap-it) Rack Bag offers eight liters of carrying capacity with two fold-out side pockets that let you store seven liters more volume. A good size to store your e-bike battery inside. Also comes with a cargo net for extra storage ability. This sturdy Vaude bag can be securely attached via Snap-it adapter to all Racktime gear racks, and just as easily detached when needed.